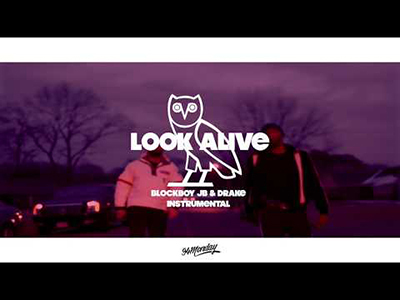 "Look Alive" is a song by American rapper BlocBoy JB featuring Canadian rapper Drake. It was produced by Tay Keith. The song samples the lyrics from Project Pat's "Out There (Blunt to My Lips)". "Look Alive" describes ties to Drake and BlocBoy JB’s crew in Tennessee. They get money and take care of each other, so people on the outside better “Look Alive” before they get taken down. The song "Look Alive" debuted at number 6 on the US Billboard Hot 100, which makes it the first top 10 single for BlocBoy JB and 23rd for Drake. I got a game plan and I'm out here with the woo!